Dragonflies are one of nature's best fliers--they can hover, track vertically up and down, and even fly backwards--at speeds of up to 30 miles an hour. 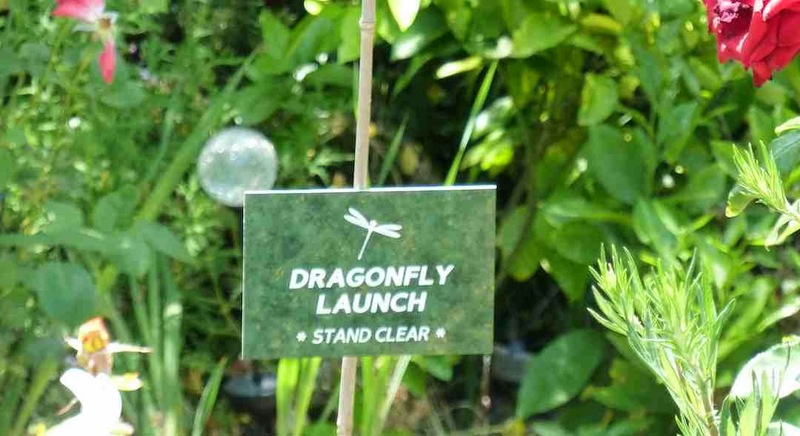 They make swift turns and catch insects mid-air, so capturing and training your own dragonfly could be very useful for trips that require speed, agility, and rapid turns. Plus, dragonflies are neat-looking, so flying around on one would make you the coolest kid on the block. This tells the dragonflies that you have opened a dragonfly airport. The dragonflies will stop over between their flights; then, just buy a ticket and fly to your chosen destination! Easy, right? 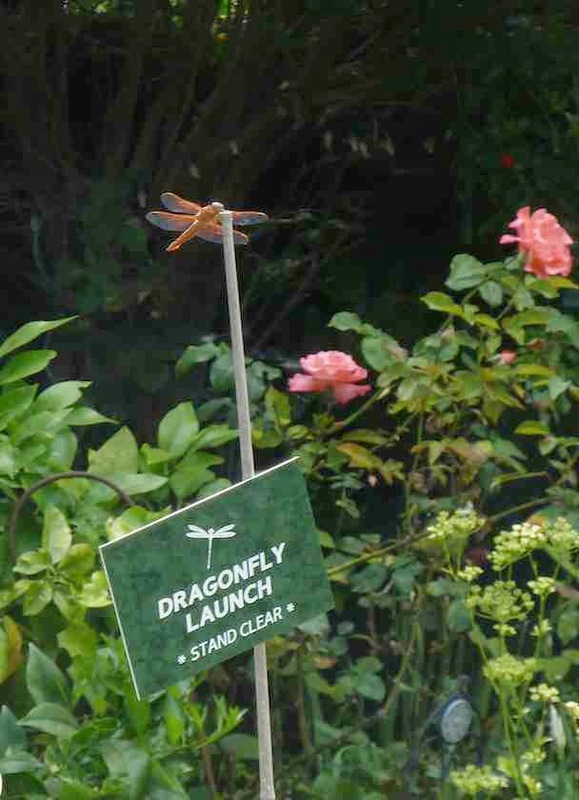 There's only one problem: dragonflies can't read. You'd also need to find a REALLY BIG dragonfly if you wanted to ride one. The prehistoric ancestors of the dragonfly were much bigger 300 million years ago; they measured up to 28 inches across, which still isn't big enough to ride but is large enough to earn it the record for being the largest insect that ever lived. Even if you can't ride a dragonfly, they're still fun to see as they swoop and dart catching insects. They eat annoying and disease-bearing insects like ants, wasps, flies, and mosquitoes, so they're not just entertaining to watch--they're useful helpers for maintaining a healthy and happy garden. You can attract dragonflies to your yard by building a pond surrounded by shrugs and reeds. Dragonflies lay their eggs in and near water, and it's important to have plants next to the pond so dragonfly nymphs can climb out of the water when they are ready to turn into adults and fly. Unfortunately, ponds also are habitats for mosquito larvae, which are a big problem because they carry West Nile virus. You can still attract dragonflies as long as there's a population somewhere within a few miles, as dragonflies are strong fliers and often search for food far away from their home pond. 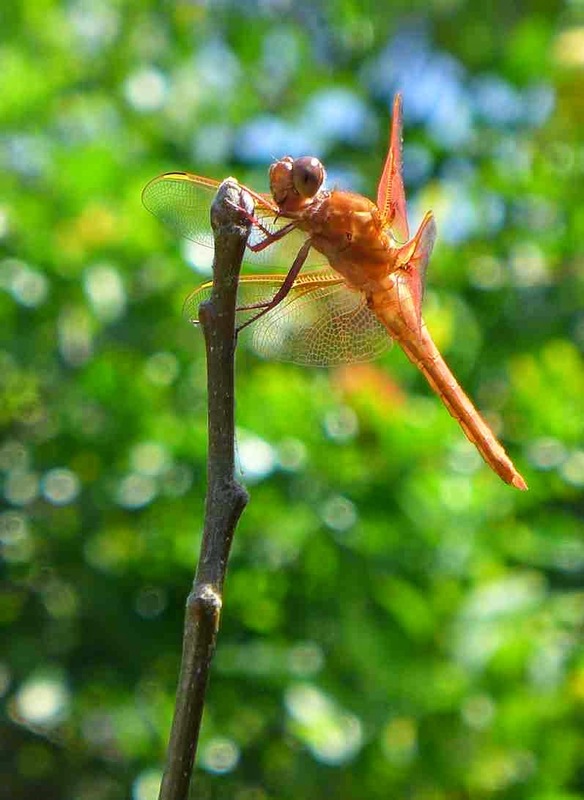 Dragonflies like to perch up high so they can see other insects fly by, so by putting a few wood dowels or bamboo sticks around your garden you'll provide the perfect place for dragonflies to scope out their lunch. 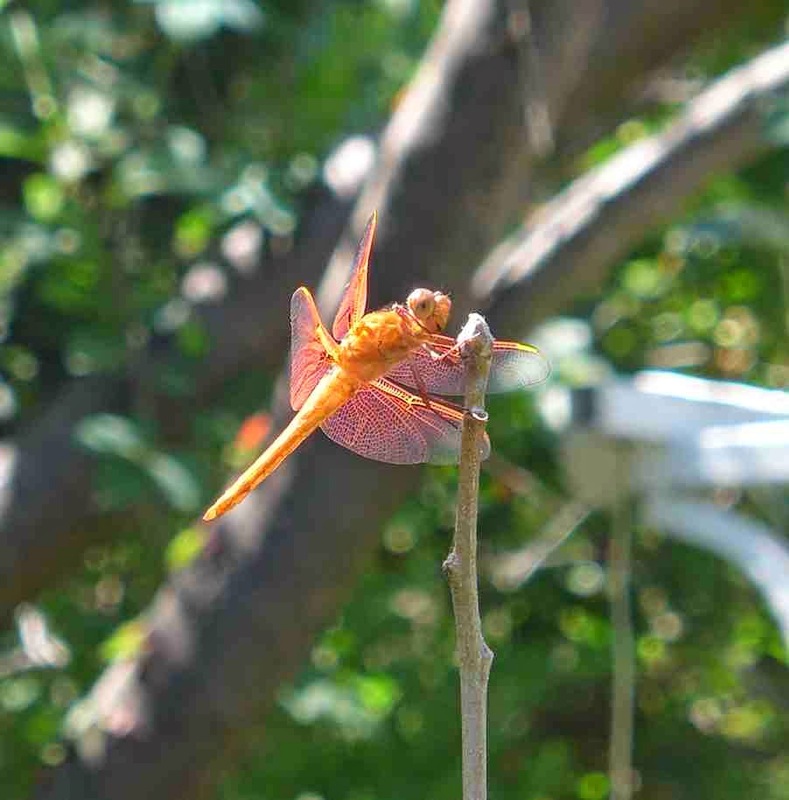 Sometimes you don't even have to put out sticks; dragonflies will find natural perches in trees or shrubs, like this flame skimmer dragonfly did in our dwarf apple tree. Isn't he a gorgeous copper color? We call this dragonfly "Smiley." Can you see why? His eyes have almost 360° vision, and see more colors than ours. Dragonflies, like our butterflies, like heat, so keep watch for them in the summer. You can read more facts about them here and here, and hey…maybe some dragonflies can read after all!